Donwald Pressly: Is Ramaphosa ‘playing Shakespeare’ to take over the ANC? Deputy President Cyril Ramaphosa has been criticised for failing to take a significant stand against the shenenigans of President Jacob Zuma in recent years. 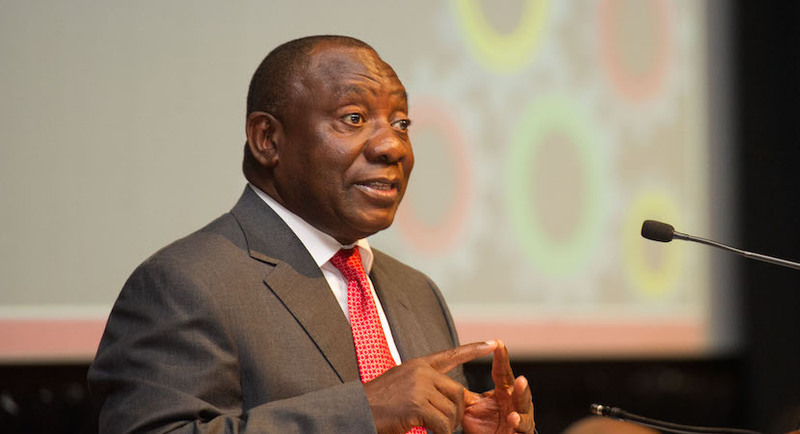 Ever since returning to politics, the former businessman Ramaphosa has been heralded as a potential saviour for the ruling ANC and South Africa. However his silence on many pressing issues has been a cause for concern. And after he finally spoke out to criticise Zuma about the most recent controversial Cabinet reshuffling, Ramaphosa seemingly went back into his shell when the party said his comments were regrettable. 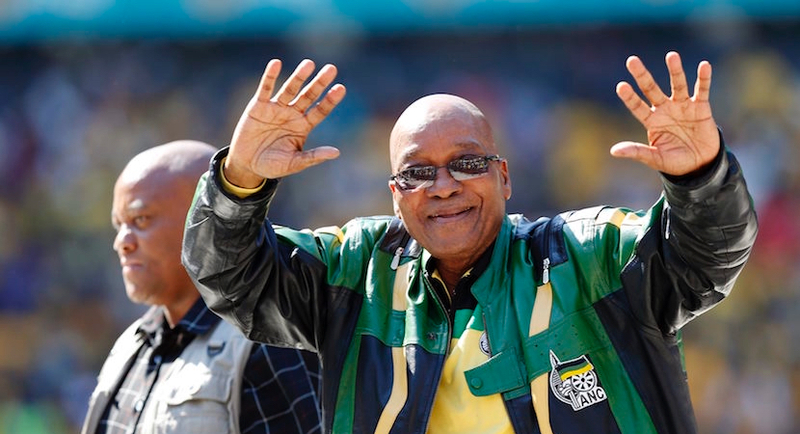 The question is will he or can he make a move to become the ANC’s next president? Does he even have a strategy and what is that strategy. 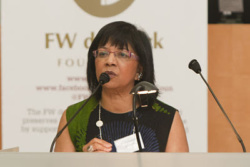 Cape Messenger editor Donwald Pressly recently attended the Ubuntu Foundation/Amy Foundation breakfast where human rights activist Rhoda Kadalie spoke about responsibility and leadership. At the event, Kadalie also said that Ramaphosa is being tactical but is waiting for the right moment to strike… – Gareth van Zyl. Adults had to take responsibility to the failure of ethical and moral leadership in South Africa even though many young people had lost confidence in the future of the country, human rights activist and commentator Rhoda Kadalie has told an Amy Foundation and Ubuntu Foundation breakfast. Donwald Pressly, Cape Messenger editor. Cyril Ramaphosa is playing a waiting game, which Rhoda Kadalie says is Shakespearean. At the end of her talk on “Where did we go wrong and how can it go right?” she was asked by a woman who said her teenage son said the marches against President Jacob Zuma and corruption was a waste of time as nothing would change. Kadalie said she understood the frustration of young people and she did not necessarily have an answer for the woman to onpass to her son. “There are legitimate reasons to say that,” she said. Black kids felt angry about race. The government that their parents voted for had “disappointed us”. White kids were despairing as affirmative action meant they had no need to perform. Young people were making choices because of the lack of leadership in South Africa. “I do think that as adults we need to take responsibility so that our kids think differently about the future,” she said. This included doing the unpopular and standing against the tide for what was right, honest and ethical. It often could be a lonely business, she said. Dlamini-Zuma, meanwhile, has ‘a record of corruption’ and had ‘molly coddled’ dictators. There were at least three potential ANC president’s waiting in the wings for the presidency of the ANC which would be elected at the December ANC conference. One was the president’s ex-wife, Nkosazana Dlamini Zuma, who Kadalie said a “record of corruption”. “I think she will be a disaster… (if she wins) she will keep Zuma billionaires going. She will be reluctant to push charge against Zuma because they have children in common.” Kadalie was referring to the tenderpreneur class in the ANC. ANC treasurer general Zweli Mkhize had a “lot of credibility”, but he kept his powder dry. But she believed Ramaphosa was the person to watch. “He has got (the support of) Cosatu.” He had an amazing following despite the events at Marikana mine in the North West. Some described him as “a lame duck”, but Kadalie believed he was being tactical. ANC politics was Shakespearean. “You have to play the game… and then knife them,” she said, suggesting by implication, that is what Ramaphosa was about to do. 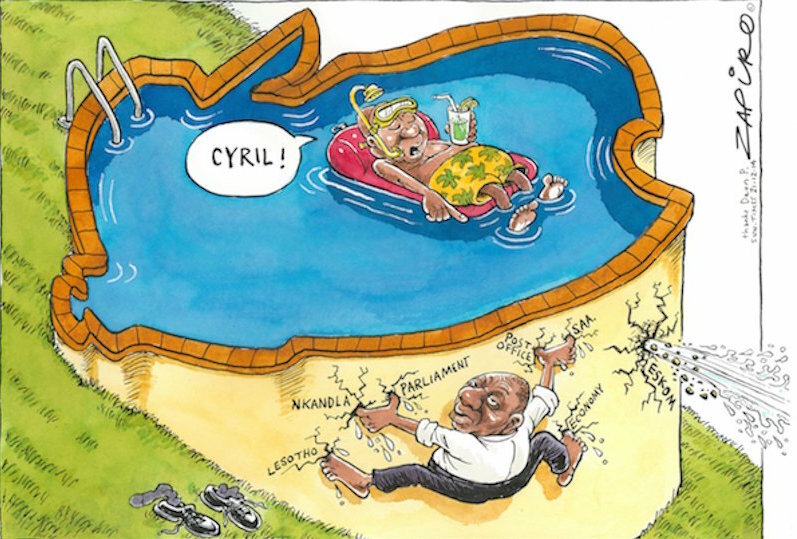 How SA’s leading cartoonist Zapiro views Deputy President Cyril Ramaphosa’s current role. For more Zapiro magic, click here. But Kadalie differed with Professor Ben Turok – interviewed on Cape Talk – about the ANC government falling. She believed that there was a strong chance that once Zuma went, Julius Malema and his EFF MPs would go back into bed with the ANC – and ANC led government would continue after 2019. Not so said Turok. There had been a mass display in the last week of a massive groundswell of opposition to continued Zuma rule. Although President Zuma looked mighty powerful, he was aware that opposition to his rule was building every day. It would reach a tipping point, he suggested even though the state appeared insurmountable as it had the army, radio stations, the police “and the Union Buildings”. Referring to voting that was coming – a national election must be held in 2019, two years away – Turok said: “The ANC is in very serious (electoral) trouble. Voting is coming. Every person who marched (at the weekend around South Africa) is going to vote against (it)… with this extra momentum who knows what can happen… this government can fall,” said Turok, who noted that people should not be fooled by Zuma’s confidence. Donwald Pressly, Editor of Cape Messenger.